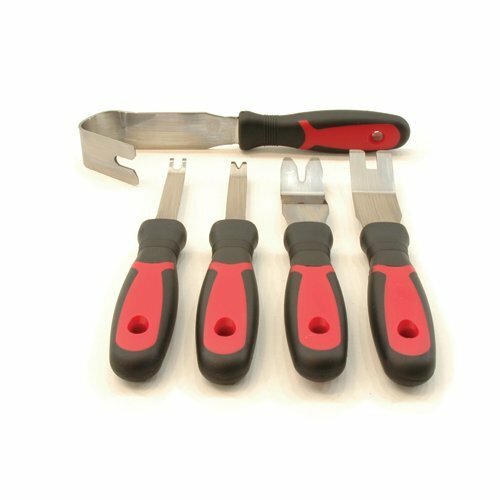 A complete set of door panel removal tools that will work on most any vehicle. Great set to fit almost any panel and clip removal needs. This set has large and small V and U shaped opening for different size cowling and door clips. The Door Panel Clip Removal Tools are made of stainless steel for durability and strength. Order today. If you have any questions about this product by Glass Technology, contact us by completing and submitting the form below. If you are looking for a specif part number, please include it with your message.